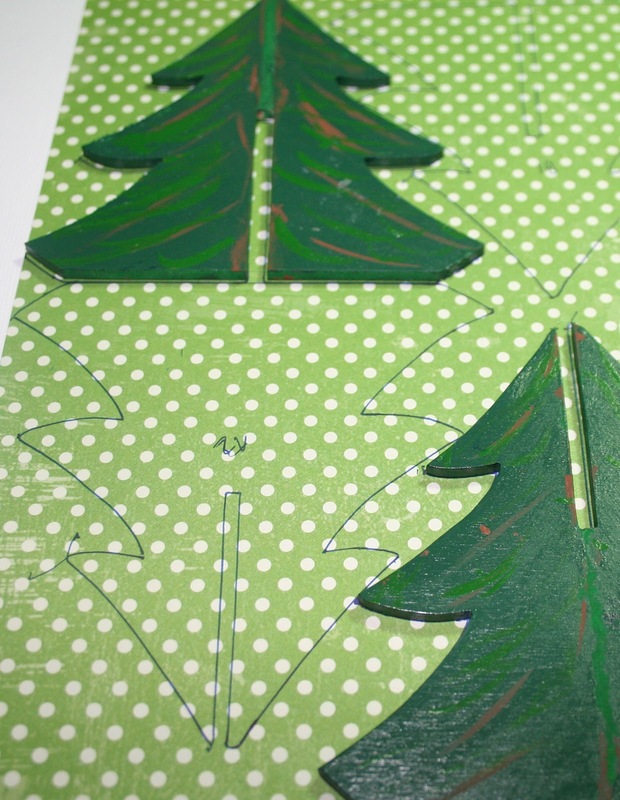 It's Holiday Inspiration week at Lily Bee and I'm excited to show you what I did with some old holiday decor I had. 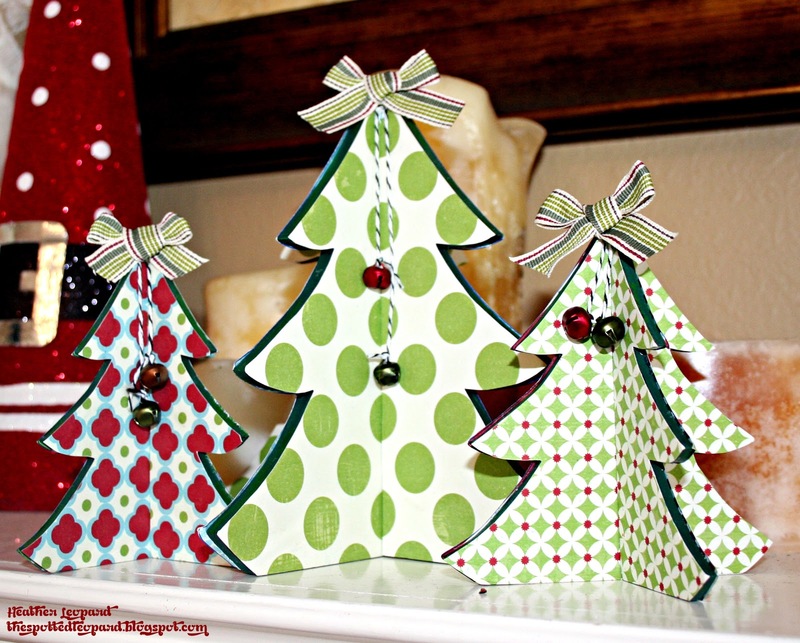 Click the Pinit button at the bottom of this post to Pin these trees to Pinterest. Supplies: Lily Bee Designs Christmas Cheer (Mrs. Claus 12x12 paper, Christmas Wreath 12x12 paper, Peppermint 12x12 paper). 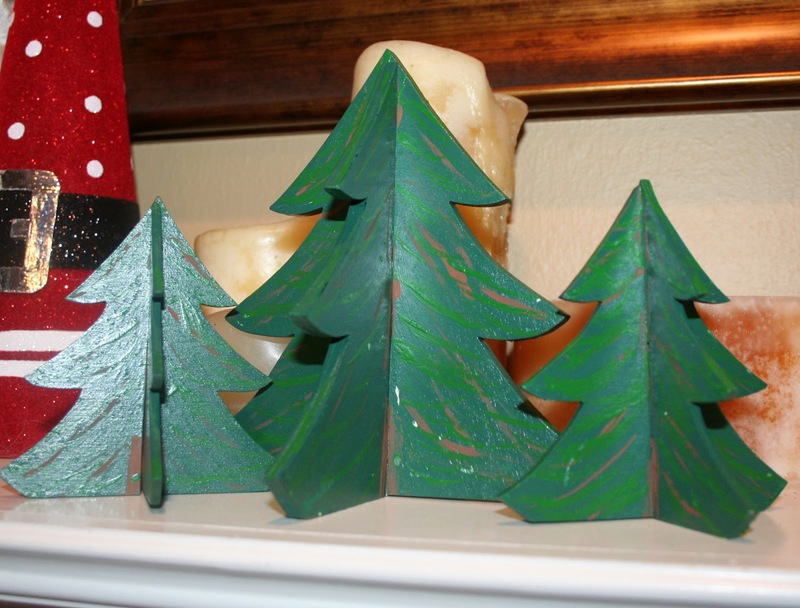 About 10 years ago, my dad made me some wooden Christmas trees. They were painted so pretty, with varying shades of green and brown to resemble a typical Christmas tree. After so many years, they were really on their last leg, with the paint starting to chip but the overall trees were still in great condition. These trees have notches so you can slide them together to make the tree. Every yer, I take them apart and lay them on top of each other in a Ziploc. I think they had gotten so hot in storage because I had to pry them apart when I took them out this year. Here's what they looked like before. I displayed their best sides so you can see all the paint work by mom and dad put into them. I couldn't bear to part with them so I took the trees apart, traced them on paper with Christmas tree colors, then cut them by hand. 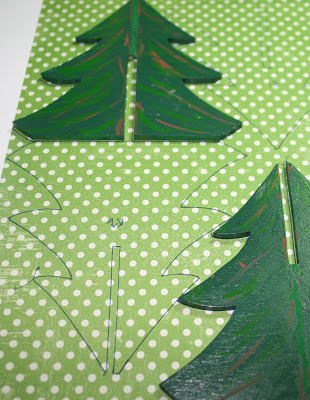 I covered the trees with Lily Bee paper and Mod Podge and then dressed them up with some pretty bows and bells. With the exception of forgetting to trim the paper around the edges before I took these photos, the trees are back to good and proudly displayed on my mantle again. Thanks for stopping by today. Make sure to visit the Lily Bee blog to learn more about Holiday Inspiration week and head over to Cindy's blog to see her trees!